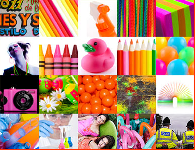 Brilliant is specialised in development and manufacture of fluorescent pigments. The key people are specialist of this type of technologie since the 80s. BGP Series general purpose pigments for aqueous systems and low polarity solvents paints, inks, etc..